Before: Although these counters were de-cluttered, they needed some lifestyle elements. Sometimes it’s the small things that make the most significant change. By cleaning off your countertops (80% should be empty, 20% for lifestyle accessories like a cooking book, coffee/tea pot with mugs/wine glasses etc. 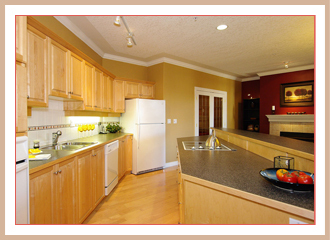 ), you will showcase how much space your kitchen really has. By coordinating the colours in your accessories, you will add harmony. After: By adding lifestyle elements to the kitchen, the buyer can imagine living here. 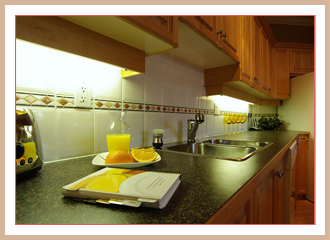 After: Vignette shot of countertops, freshly squeezed orange juice and a healthy breakfast recipe. 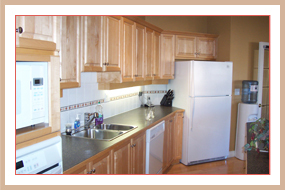 This entry was posted on Tuesday, October 26th, 2010 at 6:33 PM	and is filed under Before and After Home Staging. You can follow any responses to this entry through the RSS 2.0 feed. You can leave a response, or trackback from your own site. Thanks for your comment and trackback! I get pleasure from your writing style genuinely enjoying this web page.